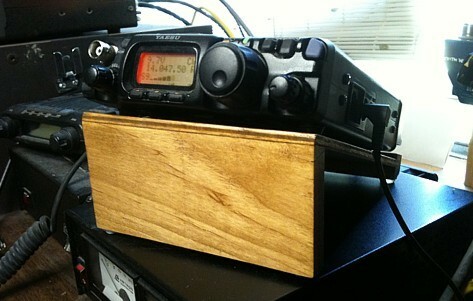 I hope you received my check for the wood Yaesu FT-817 stand? It arrived today. WOW! That was fast service. I am delighted. It is perfect for my needs and very attractive. Looking nice and having a neat and orderly shack is important to me. Your wood stand fits in nicely bring the warmth and beauty of nice wood. I am so pleased with this item. I have attached a photo of my Yaesu FT-817 and your stand with this e-note. I hope to learn of any new items you make available.